Harajuku girl sporting an all black ensemble with a leather motorcycle jacket, zebra print top, zebra print skirt, knee high boots and a black waist bag. 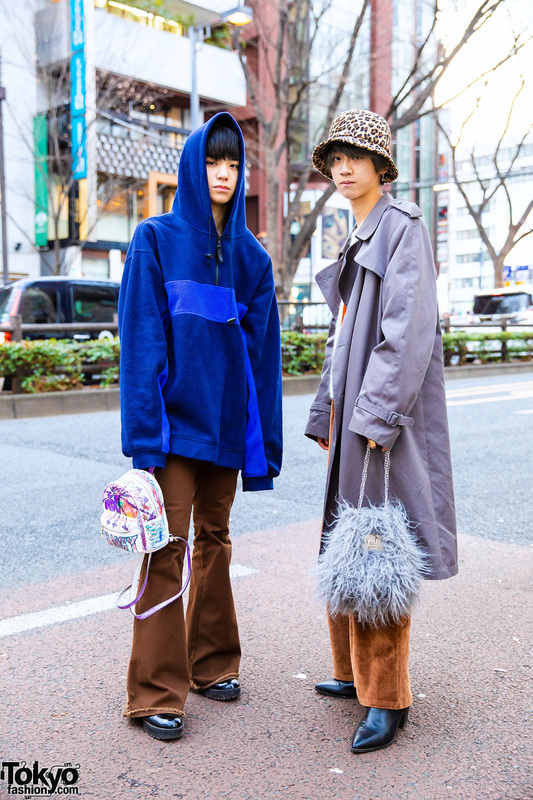 Teenagers bundled up for the cold weather while out and about in Harajuku. 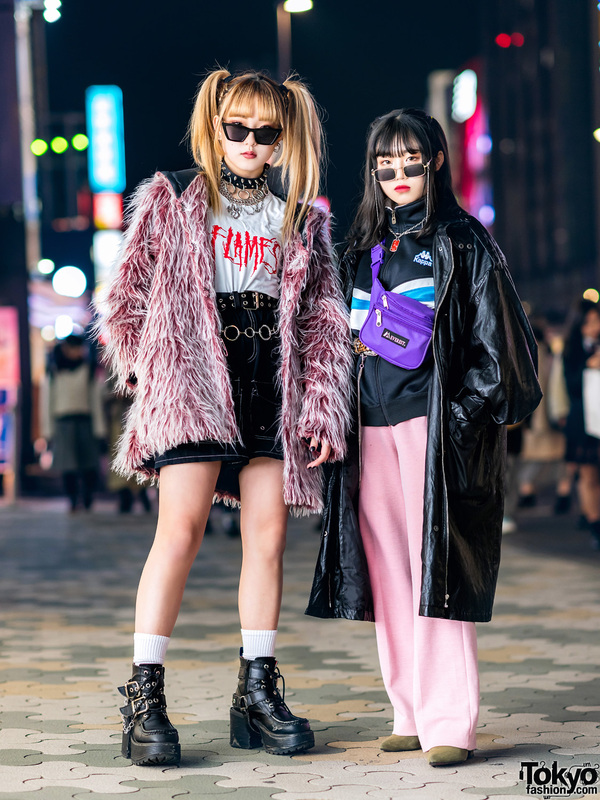 Japanese beauty school students in sleek furry streetwear styles with purple and aqua hair on the Harajuku street. Japanese teenagers in vintage and handmade street fashion while out in Harajuku. Japanese girls clad in black jackets, white shirts, pleated plaid skirts and platform shoes while out on the Harajuku street. 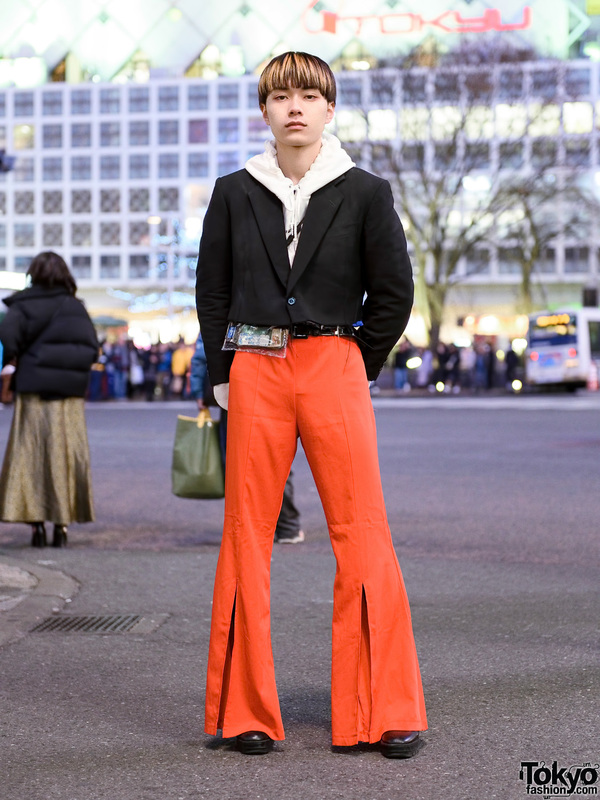 Japanese teen sporting a blunt bob hairstyle wearing a cropped blazer, Faith Tokyo hoodie sweater, Forever21 flared orange pants and Zara shoes in Shibuya. Harajuku girl sporting a chic monochrome streetwear style while out on the street. Harajuku girl with all black and tough-chic street style. Japanese siblings with blue and red hair sporting interesting streetwear styles while out in Harajuku. 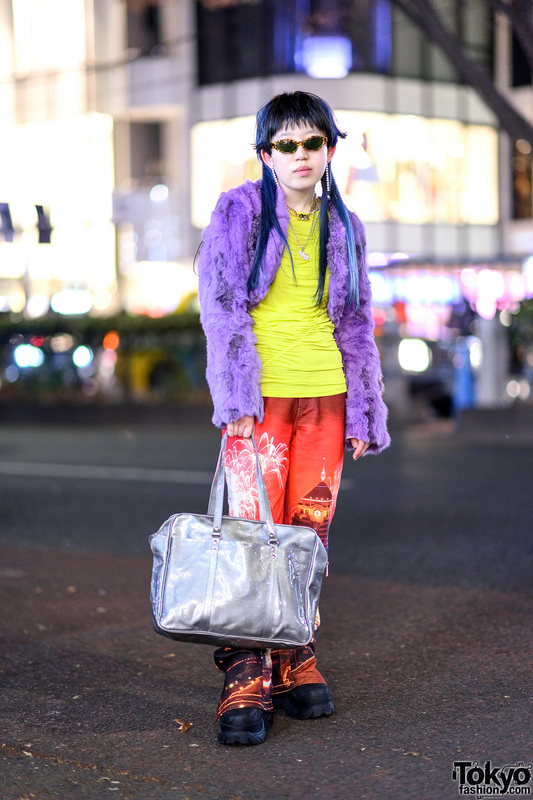 Harajuku apparel staff dressed in a cropped furry jacket, ruched shirt, red printed pants, platform shoes and a metallic glitter satchel bag.